CONGRATS LEG UP! DANCE ARTISTS! *** ATTENTION TICKET HOLDERS! YOUR NAME IS ON OUR VIP GUEST LIST AT THE DOOR UNDER YOUR NAME. THANK-YOU FOR SUPPORTING THE YOUNG ARTISTS! ALL TICKET PROCEEDS GO TO THE ARTISTS! 9 POWERHOUSE WOMEN SHARE NEW CONTEMPORARY DANCE WORKS. Claire Plunkett-Blazi is an interdisciplinary artist based on the traditional, ancestral and unceded lands of the Coast Salish peoples, including the territories of the Musqueam, Squamish and Tsleil-Waututh nations. She is a graduate of Emily Carr University's Visual Arts BFA Program, a student of the Celtic harp and of the intersection of art, embodiment and healing. Whether through text, movement, sound, ink, silk, plants and minerals, or the body and its intelligent capacity for translation, her work destabilizes notions of material and human authority and loosens the function of subjectivity by drawing subtle connection between the animate qualities of matter and the phenomena of the process of an individual experience. Her exploration into the realms of the body, with breath and creative movement has been a transformative deepening into her personal healing. Through deep listening and intuitive sense, the language and relationship between environment, body and spirit may be remembered and experienced deeply as both catharsis and empowered co-creative consciousness. She believes that this intimate connection to the inner and outer worlds is available to us all, willing to be remembered and is an opening to deep healing for self and others. Claire hopes to embody and nurture this awareness through her art and commitment to shared healing. Rachel Helten is a dance artist, choreographer, and teacher currently based on the unceded indigenous land belonging to the Coast Salish peoples, including the territories of the xʷməθkwəy̓əm (Musqueam), Skwxwú7mesh (Squamish), Stó:lō (Stolo), and Səl̓ílwəta/Selilwitulh (Tsleil-Waututh) Nations (Vancouver, B.C.). In 2016, she completed her Bachelor of Fine Arts in Dance at Simon Fraser University. Although movement is Rachel's main mode of expression she has an affinity for collaborative and interdisciplinary methods. Rachel’s work is often charged with a curiosity of how we interact and respond to our real and imagined worlds and how vulnerable states can transform and liberate us. In like manner, Rachel has been blessed to be a part of processes that nurture these fascinations with a vast array of artists. Her desire to aid in the emancipation and healing of herself and others has intimately transformed her artistic practice and lead her to various corners of the earth. Rachel gleaned insight from teaching dance at an art therapy centre in Quito, Ecuador. In addition, she has trained in Florence, Italy and Buenos Aires, Argentina. This piece was created within the Andean landscapes of Peru and Bolivia. Rachel was inspired while listening to the soul of these places, our similarities, differences and the enduring nature of the human spirit. She desires to honour our histories, frequencies and the poetry of nature through her work. Rachel extends her profound appreciation to her mentors, family and friends for their love and support and for all those who have helped shape who she is today. Karley Kyle-Moffat, is a Vancouver-based dance artist, choreographer and teacher, who believes dance has the power to heal the mind and body. Karley holds a Bachelor of Fine Arts in Contemporary Dance from Simon Fraser University, studied in the Teacher Training Program at Canada’s National Ballet School, and received her yoga teacher training in Greece. Karley has followed her passion and her skill in many different styles of dance across Canada, as both a teacher and a performer. She has apprenticed with Judith Garay's company Dancers Dancing, choreographed for the short film Extra-Ordinary Amy, created an early childhood dance program, and is a co-founder and artistic director of K&E Dancing. Karley is currently the Principle Dance Instructor at the Ballet Lounge in Vancouver. Brett Palaschuk is a second year student studying at Simon Fraser University in the School for Contemporary Arts. Over the past two years she has been exploring choreographing and incorporating individuality into her work. She had the honour of recently being featured in a student production at Simon Fraser University. 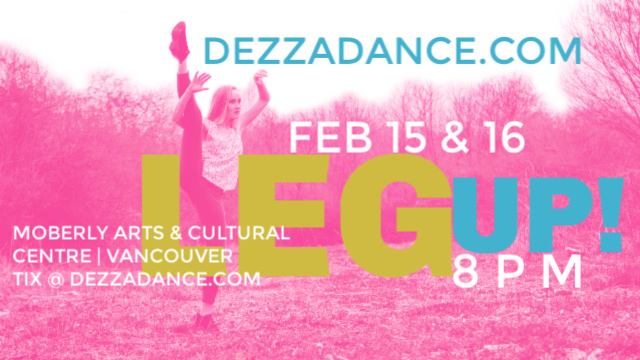 She is a dance eductor and teaches creative ballet & adult ballet fro Dezza Dance at Trout Lake Community Centre. Shannon Lin is a dancer originally from Edmonton, Alberta, and is currently a new and emerging artist in Vancouver, British Columbia. She began her training in various styles at a young age at Dance Theme Ltd. under the direction of Shari VanderWoude, with a primary focus in ballet and contemporary. Throughout her training prior to post secondary education, Shannon has attended multiple workshops and classes outside of her home studio, such as the RAD Dance Challenge in Vancouver under the instruction of Lynnette Kelley, the Rambert School of Ballet and Contemporary Dance in London, as well as an assortment of convention training and competition experiences across North America. Currently, Shannon is a student at Simon Fraser University, studying at the School for the Contemporary Arts with aims to achieve a BFA in Dance. Through this program, she trains in ballet, contemporary, improvisation, as well as the spectrum of modern dance techniques such as Cunningham, Graham, Horton, and Limon. 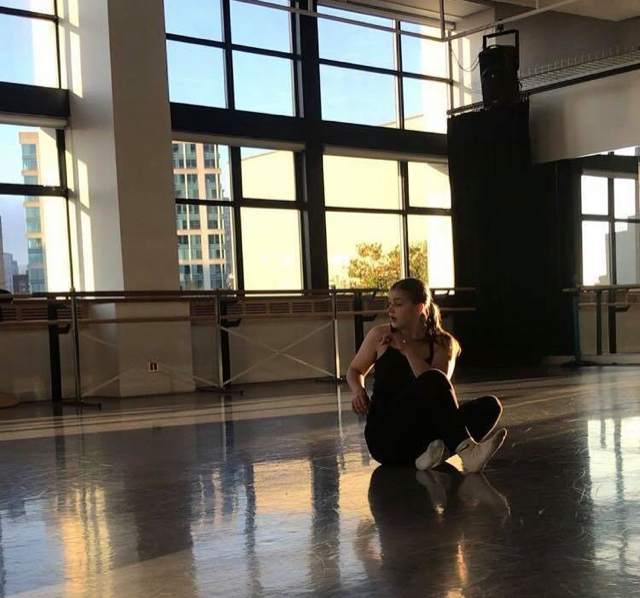 Her recent repertoire experience at Simon Fraser University has expanded her artistry and movement diversity through working with artists and choreographers such as Joshua Beamish and Anya Saugstad. As a new and emerging dance artist in Vancouver, Shannon continues to explore training and choreographic opportunities to develop an artistic channel to deliver her projects through. Kestrel Paton is an emerging dance artist originally from the mountain community of Crowsnest Pass, Alberta. She is currently pursuing a BFA with a Major in Dance at Simon Fraser University. Kestrel has previously worked with Desiree Dunbar as part of Catalyst dance mentorship program, as well as an apprenticeship with Dezza Dance in 2017. While at SFU, Kestrel has performed repertoire by local Vancouver artists such as Chengxin Wei, Rob Kitsos and Henry Daniel. She had the pleasure this fall to work with Los Angeles based dance artist Taisha Paggett, exploring movement away from a studio context incorporating visual art, installations and art galleries as a performance space. This coming March, Kestrel will be dancing in SCA Spring Repertoire “RE” with works by Judith Garay, Bevin Poole, and Vanessa Goodman. She is currently an intern with MachineNoisy Dance Society. Shion Skye Carter is a performing artist and teacher based in Vancouver. Originally from Japan, she holds a BFA degree in Dance and Kinesiology from Simon Fraser University. In recent years, Shion has worked with artists such as Rob Kitsos, Wen Wei Wang, KT Niehoff (USA), Vanessa Goodman/Action at a Distance, plastic orchid factory, and Yossi Berg & Oded Graf Dance Theatre (Israel). She is co-founder of the interdisciplinary duo olive theory projects with Stefan Nazarevich, where they are currently experimenting with the intersection between live sound, embodied performance, and installation art. In the future, she intends to continue her studies in kinesiology and integrate them into her artistic practice, by combining dance with physical therapy and developing movement programs for kinaesthetic rehabilitation. Shannon May is a Canadian professional dance artist from the small town of Fort St. John in northern British Columbia. She began dancing at four years old and continued dancing under the tutelage of Shauna Milne until the age of 18. Upon graduating high school Shannon moved to Vancouver where she completed the Arts Umbrella graduate program. Immediately after this she attended Spellbound’s contemporary intensive in Rome and then moved to Calgary to train for a year with the Decidely Jazz Danceworks company. After this she moved to the Netherlands to work with the Dance in Art Junior Company under the direction of Martine van Santen and Rianne Keyzer. In 2016 Shannon joined Mystic Ballet, a contemporary dance company in Connecticut and has danced and performed for the company for the past two years. Some highlights of Shannon’s career include performing Rianne Keyzer’s Well Tempered in Haarlem, NL, performing as Ursula in Mystic Ballet’s contemporary take on The Little Mermaid and performing as a soloist in Mystic Ballet’s performances of Grab and Splash. She has had the privilege of working with many talented choreographers such as Gioconda Barbuto, Walter Matteini, Fernando Magadan, Dario Dinuzzi, Lesley Telford, Christophe Dozzi and Francesca Caroti. Over the years Shannon has had opportunities to develop her own style and choreography. She was encouraged to create her own movement at Dance in Art and, during her time with Mystic Ballet, she choreographed two pieces on the company for their end of season performances. Shannon is moving to Vancouver and looks forward to immersing herself once again in the Canadian dance community. She hopes to continue to create her own work and collaborate with other dance artists. Shannon is excited to bring back all that she’s learned to her home province and believes she and fellow artist Lauren Yeung can present something new and interesting to the Vancouver dance scene. 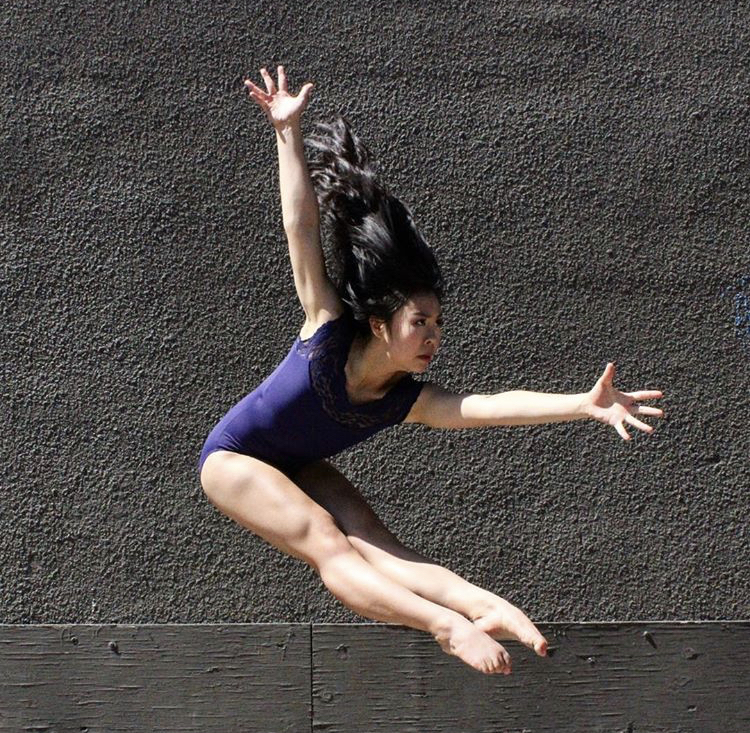 Lauren Yeung was born in Vancouver, Canada where she began her dance training. She studied with the Arts Umbrella Dance Company for 4 years under the guidance of Artemis Gordon and Lynn Sheppard. While there, she had the opportunity to work with such renowned choreographers as James Kudelka, Thomas Klein, Fernando Magadan and Lesley Telford. She then toured with the Arts Umbrella Dance Company to Europe and performed an excerpt of Crystal Pite&#39;s “Dark Matters&quot; set by Cindy Salgado. Upon graduating, she travelled back to Europe to be a part of the Dance in Art Junior Company. It was here that she discovered her own voice as an emerging artist and choreographer. After one year of dancing with the company she was offered a teaching position and a chance to choreograph for the next two season&#39;s of Dance in Art. Throughout this time she also received work in a music video (Her Name is Murder Productions) as well as being part of an art installation piece by JappeMo Reintjes. Concluding her time in the Netherlands, Lauren is excited to be back in Vancouver to begin a new chapter with fellow artist Shannon May. Want to catch a glimpse of some of the best emerging talent in the city? We created Leg Up! To give our young choreographers in Vancouver a springboard to leap into the professional realm. These crazy talented nine women have something to say AND the chops with which to say it. Moberly Arts Centre is the ideal nest to incubate these new dance works. A perfectly sprung floor, intimate black-box theatre and wonderfully supportive arts programmers and community association mean these dancers are fully supported. We warmly welcome you to an evening of thoughtfully crafted and passionately performed contemporary dance works. Our 70 seats fill up fast. Be sure to buy your tickets in advance so you don’t miss out. The performance is approximately 60 minutes with no Intermisssion. Free parking. Latecomers will not be admitted. Please arrive early to find a seat. Theatre will open at 7:30pm sharp.